When life gets bumpy…we get TIRED! The body’s adrenal glands are about the size of the palm of a hand. The bigger the person, the bigger the adrenal gland. They’re kind of triangle shaped and they sit on top of the kidneys (ad-renal means above the kidney). They can be referred to as suprarenal glands, but this is not the usual accepted name. These glands are the ones responsible for the “fight or flight” response to stresses. I go into quite some detail in my book BURNT! (links available under the Books & Such tab, here on herbchickonline.com). These glands can fire off hormones, like cortisol and adrenaline, in response to stresses like a poor evaluation at work or an impending school deadline the same as if you were being chased by a hungry, angry bear. The adrenals do not know the difference. A perceived threat is a threat all the same, therefore requiring the same responses. This can leave you tired, immuno-depressed, emotionally depressed and in need of some kind of recuperation. What can we do manage these speed-bumps in our lives? You know the ones: the tax deadlines; the gas bill that’s over due; the raging boss wanting paperwork turned in; and one and on. How do we get our adrenals to just “deal”? Meditation has been shown to reduce the body’s adrenal reaction to stress. It calms the brain, which in turn calms our reactions. Just 20 minutes of peace and quiet spent in meditation can make a huge difference. Try it. Set aside a small time each day to clear the mind. Mentally see yourself wiping the items triggering your stress off a giant chalk board. Investigate meditation avenues. It really does make a difference. While there are extremely severe deficiencies of the adrenal glands like Addison’s and Cushing’s, there is a sub-clinical phase of adrenal exhaustion which some doctors aare just now beginning to recognize. As an herbalist and natural health consultant, I have been dealing with adrenal fatigue for some time, both in my own life and in that of my clients. Adrenal fatigue is one reason why my mother took me to my first herbal nutrition consultant in 1991. I live this issue every single day and I will tell you, you must feed your adrenals to get them back online. Vitamin C is a crucial component of the adrenal glands. When they are dried, they are found to be made up of crystallized vitamin C. So consume vitamin C! Minerals like potassium and natural sodium are important nutritional components. Coincidentally they are found in electrolytes. Is it merely a coincidence the adrenals are responsible for secreting hormones to tell the kidneys how much fluid and electrolyte minerals to keep back? Hmmmm. Makes you think, right? One herb I love to include in an adrenal building program is Ashwaghanda! 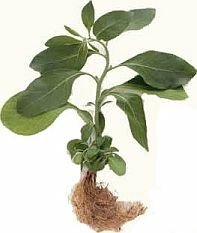 Ashwaghanda is considered an adaptogen. This means it is an herb which is considered to be beneficial in helping the body cope with stress. It is often times referred to as Indian ginseng (even though it and ginseng are not even close to being related). 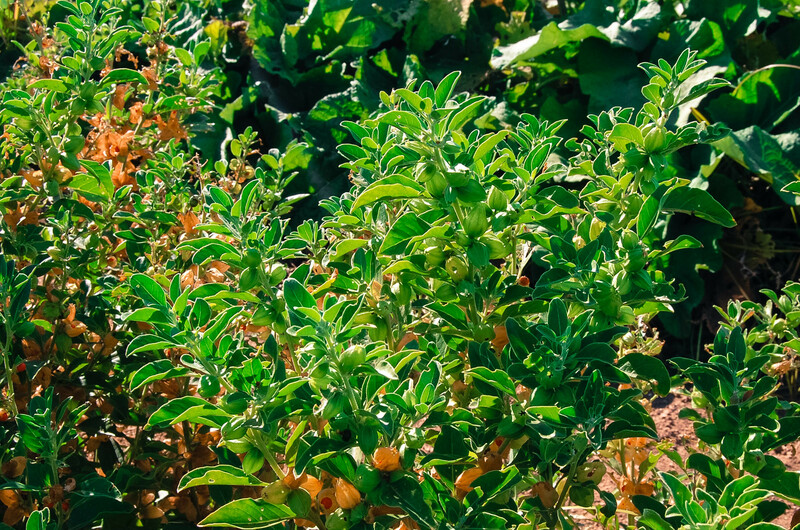 This shrub is actually a member of the tomato family. If you ever see the little seed pods, you know where the relation is. The seed pods look like little tomatillos. It is native to the dry climates of India and the middle east. Today it can be cultivated in some milder regions of the Americas, too. It is used in Ayurvedic medicine as an herb to increase energy and reduce negative impacts of stress. Usually the root and the berries are used in the herbal preparations. The fruits are tiny red berries which sometimes look like red raisins by the time you buy them. The Chopra Center recommends adding 600 to 1000 mg of Ashwaghanda to your diet daily. I like to blend chromium, Korean ginseng root extract, rhodiola root extract, eleuthero root, gynostemma whole plant extract, ashwagandha root, schizandra fruit, suma bark, alfalfa aerial parts, astragalus root, kelp leaves and stems, reishi mushroom mycelia, rosemary leaves extract, ginkgo leaves extract, broccoli flowers, carrot root, red beet root, rosemary leaves, tomato fruit, turmeric root, cabbage leaf, grapefruit bioflavonoid, hesperidin and orange bioflavonoid.. While I realize this is a lot of supplements, sometimes you can find them altogether in a blend. Together these herbs help the body cope with a variety of stressful conditions, including stress on the immune system, fatigue and aging. They fight oxidative cellular damage, energize the body, support positive mood and stimulate the immune system. It is one of my main “go to” formulas to fight adrenal fatigue. You can learn much more about Adrenal Fatigue and natural ways to cope in my book BURNT!